We will have 3 days off on 25th~26th December and Jan.1st, please kindly note. How will you spend your time through the upcoming holidays ? Meanwhile, it means tough busy time before the holidays, right ? 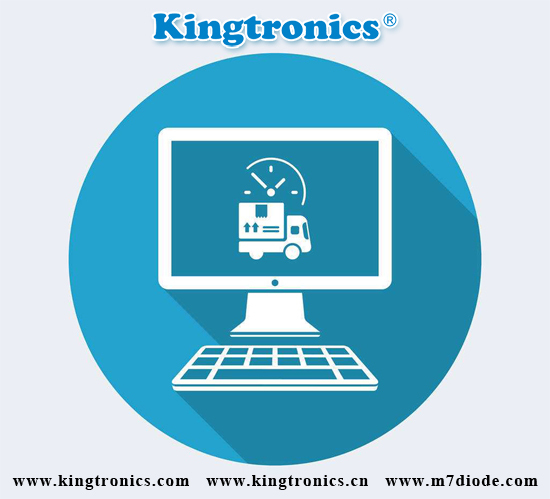 Kingtronics team is here with you and willing to help share your burden ! 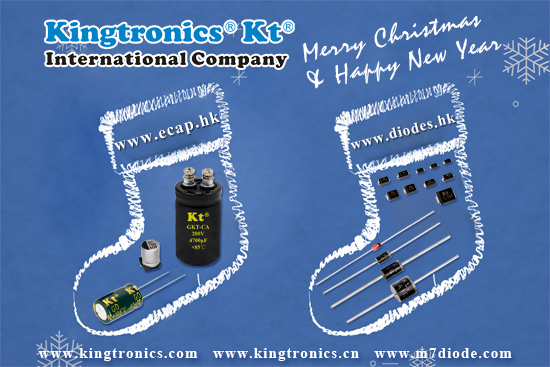 Please don’t hesitate to contact if any further request for Aluminum Electrolytic Capacitors and Diode Rectifiers. Schottky rectifiers SOT23 and SOD323 20- 24 weeks, PDI123 21 weeks, SBR TO220AB 12-20 weeks, SMA 16-18 weeks. There are increased lead times in SMA, SMB, SMC, TO-220, TO-263 and DPAK. Schottkys are most affected with 40-52 weeks lead time. TURBO 2 Ultrafast High Voltage Rectifiers running about 20 weeks. Everything else is 25-33 weeks. DFxx series 25-30 weeks, KBPxx series 21-25 weeks. Some SMD dropping from 18 to 16 weeks. Some price increases. 0.1uF 35V +/-20% P: 2.54mm bulk RoHS. 4.7uF 16V +/-20% P: 2.54mm bulk RoHS. 1uF 25V +/-20% P: 2.54mm bulk RoHS. 1uF 35V +/-20% P: 2.54mm bulk RoHS. 2.2uF 35V +/-20% P: 2.54mm bulk RoHS. 10uF 16V +/-20% P: 2.54mm bulk RoHS. 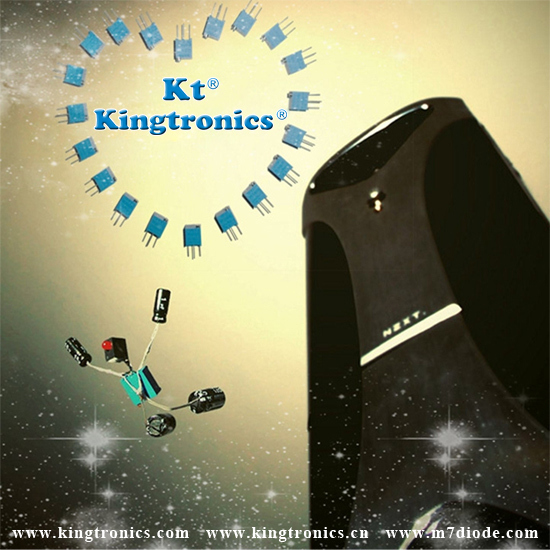 1000pF 50V +/-5% NPO P: 2.54mm bulk RoHS. 0.1uF 50V +/-10% X7R P: 5.08mm bulk RoHS. 1uF 50V +/-20% Y5V P: 5.08mm bulk RoHS. 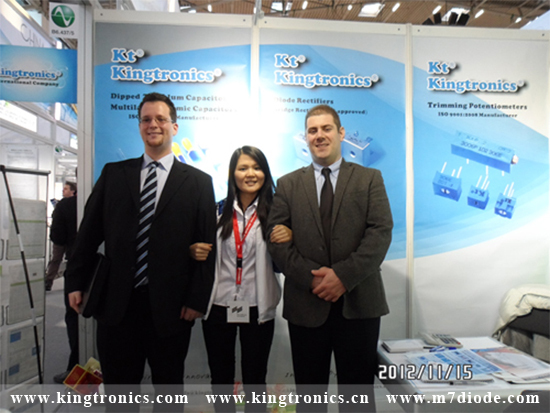 Kingtronics exhibited at Munich Electronica2012 Booth No. B6.437/5 during 13~16th Nov.2012. 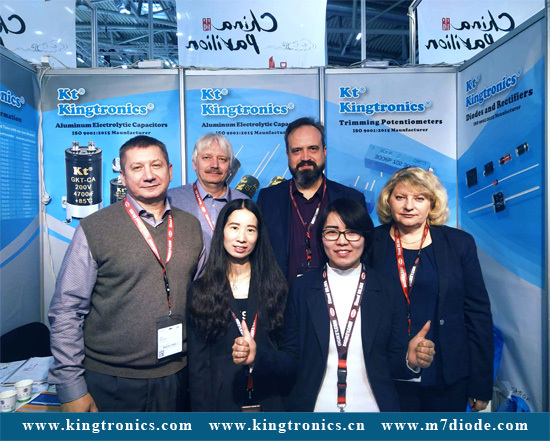 During these days, customers visited our booth with great pleasure, we promoted our products actively and gained full success. Here I list some samples which are very popular among visitors and share you some nice exhibition photos. We would like to cordially invite you to visit our stand B6.437/5 at Munich electronica 2012. 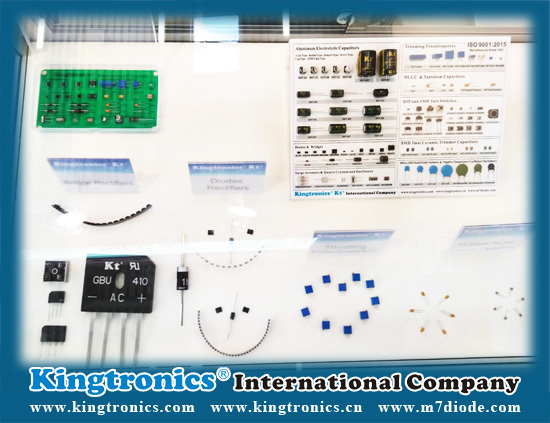 The electronics businesses (electronics, electrical technology, opto-electronics, photovoltaic, organic electronics) have its traditional roots in the German Capital Region. At the same time it is very successful on the world markets. We are looking forward to seeing and meeting you at electronica as well as starting intersting joint projects in the future. Pls kindly advice your visit schedule. We can support you below samples for testing. Please check if you need my help, thank you very much!